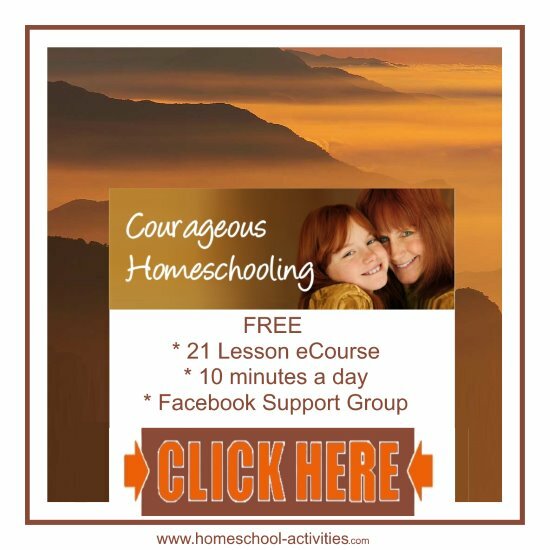 Today is where we learn the techniques which will make you feel good about homeschooling. 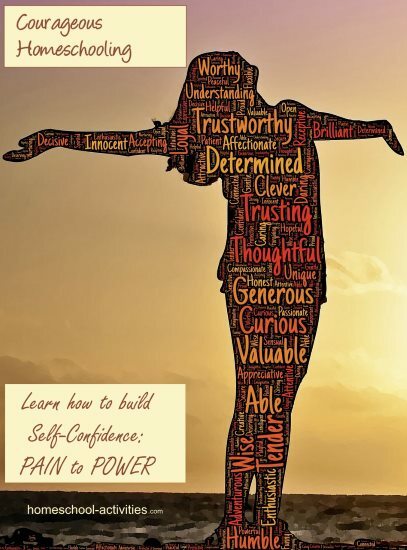 This is where we learn how to turn pain into power. 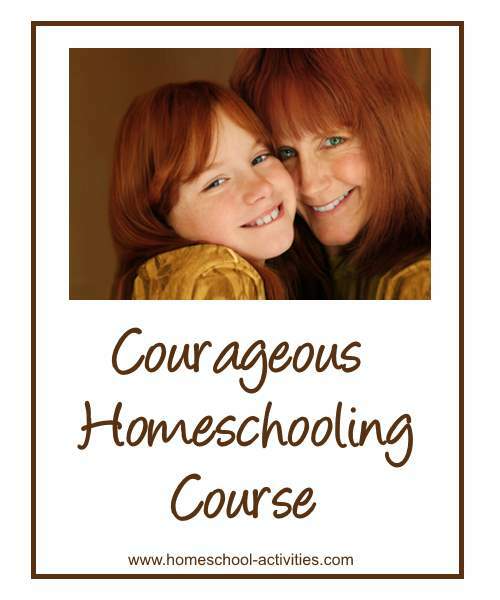 Those of you on my Courageous Homeschooling e-course are well on the way to creating the tool box you need to make homeschooling the success and joy you hoped it would be. But tackling FEAR is not easy. And even more so when we realize it's never going to go away. 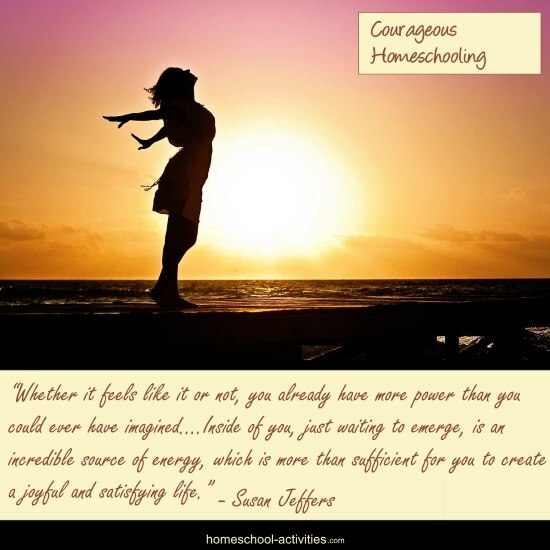 What my Courageous Homeschooling e-course does is ALTER your attitude towards fear by developing the belief in yourself that you will handle whatever comes your way. N.B. 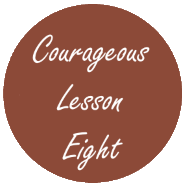 This is Lesson 8 of my 21 lesson free Courageous Homeschooling e-course which teaches the techniques to make homeschooling work for all of you. I would say that almost everyone who does homeschooling loses confidence in their own ability to deal with the world. It's to do with being at home with the children rather than going out to work. Even if you're a former Company Director before you started homeschooling (as I am) the fears come creeping in. There's something about going out to work, having work colleagues, adult company, deadlines to meet – which bullet proofs your mind. You tend to just get on with whatever is at hand – AND DO IT. You're taking ACTION all the time, and ACTION as we know, is the powerhouse that defeats fear. 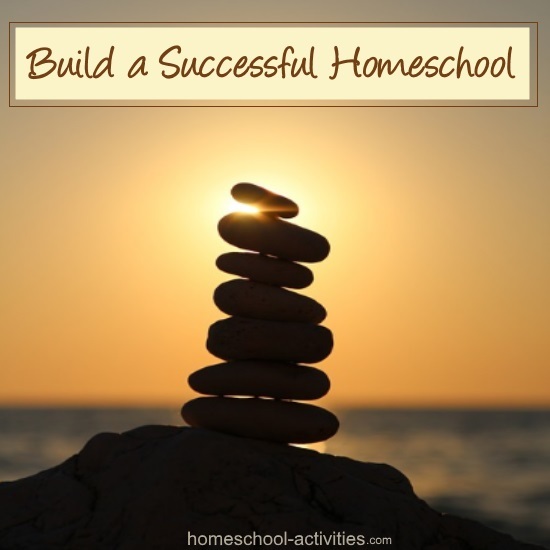 What we need to do is to take action so you can feel good about homeschooling. 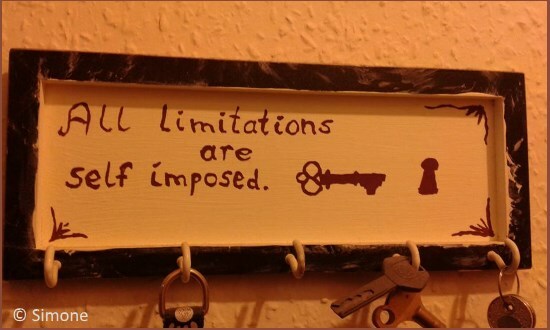 What a wonderful reminder that it is often only lack of confidence which prevents us from achieving our dreams. When you are at home with the kids, you have too much time to think, your skills get rusty and you may be on your own all day long. Before you know it you're awake half the night worrying about things you wouldn't have blinked an eye about. That's not doing you any good and it certainly undermines the joy of homeschooling. When you don't feel good about yourself, how can you feel good about the children? I am a great fan of Susan Jeffers wonderful book Feel The Fear And Do It Anyway. Susan explains that this is normal. We all have fears, they aren't going to go away – it's simply the way we view them that makes them something which holds us back. And the good news is that the more you take ACTION the more that the fact that you feel the fear becomes irrelevant and the more your confidence increases. Susan calls it the PAIN to POWER chart. I don't know where you are on the chart. Could be you feel pretty much in the PAIN zone at the moment, feeling pretty paralyzed and depressed. Boy! Isn't that a wonderful goal to aim for? And that's where we want to head for in this course. Because that's what homeschooling has to offer. The good news is that we can support each other along the way so that we make sure we all feel good about homeschooling. 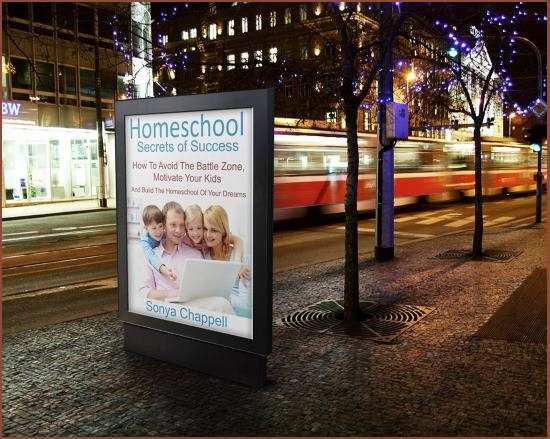 And the other secret which I have learned is that small steps make a huge difference when you are homeschooling. 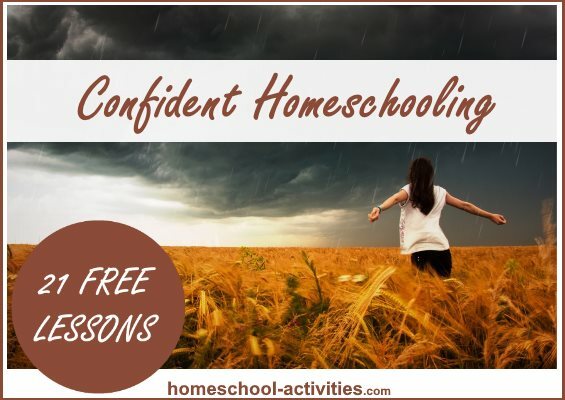 You've already taken the first steps which will make you feel good about homeschooling if you've followed my e-course. Because just by talking to yourself in the right way you'll be feeling more confident about yourself. Now we have to start doing things which move you further along the POWER chart. Draw your own Pain to Power chart. One side of the paper is Pain and the other is Power. At the end of each day/week/month, pin where you are. Don't worry; it doesn't matter where you are today or even next year. The more you grow out of your comfort zone, the more confident you will eventually become. 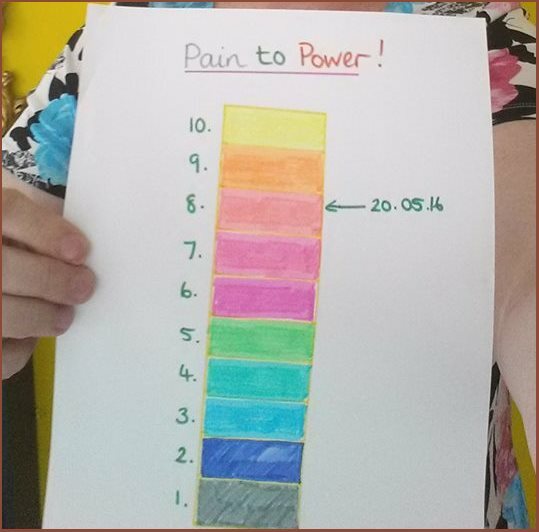 This is the Pain to Power chart that Sheila from the Courageous Facebook Group posted. I suggest you pick something a little out of your comfort zone – but not a lot. Small steps help you to learn to walk without falling over and bumping your head! And the positive thinking tools we have begun to learn mean that you cannot make a mistake even if things appear to go wrong – because you will learn from your 'mistakes' and move on. Share with us in the Courageous Facebook support group what you plan on doing so we can cheer you on. When you read those words, you can see how it makes you feel good about homeschooling when you start releasing the power within you. "Wow! Looks great! 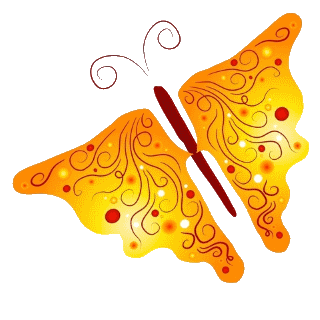 Brings everything together in a lovely format to keep and look back on." 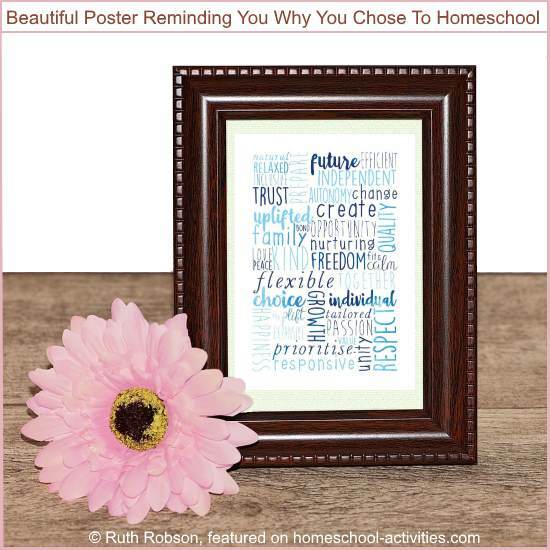 A great way to make yourself feel good about homeschooling is to remind yourself why you started with this fabulous poster. P.S. 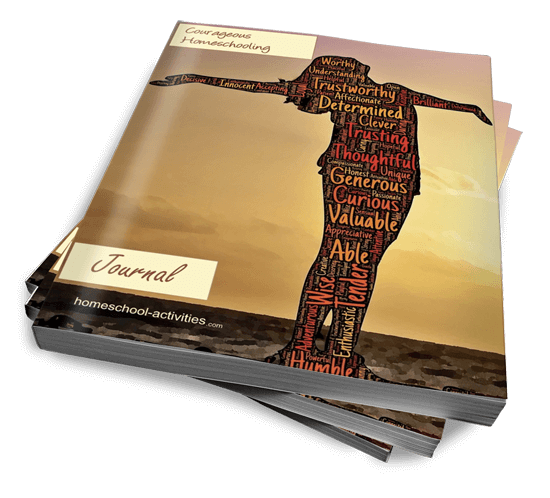 Building confidence in your ability to do homeschool is exactly why I wrote my new book Homeschool Secrets of Success.